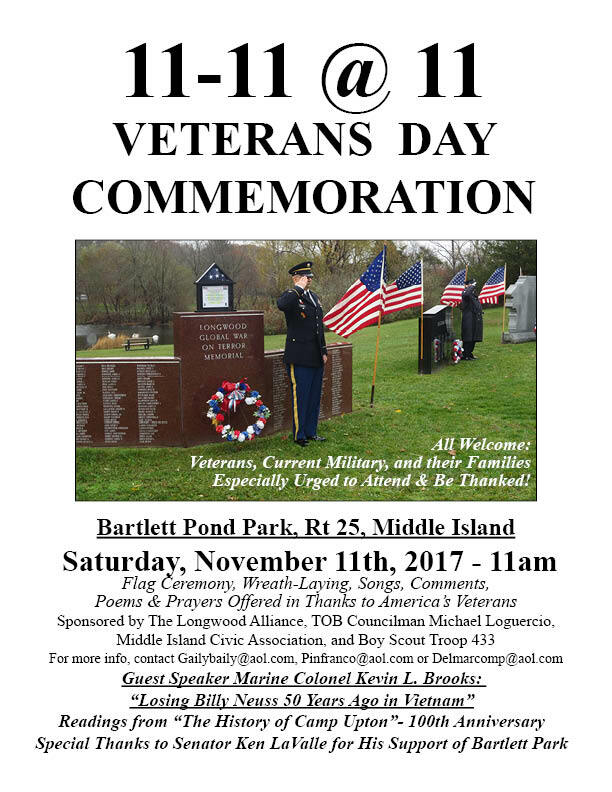 Please join us for our 9th annual Veterans Day Commemoration Ceremony at Bartlett Pond Park in Middle Island at 11 a.m. All welcome! Veterans, active military and their families especially urged to attend and be thanked. 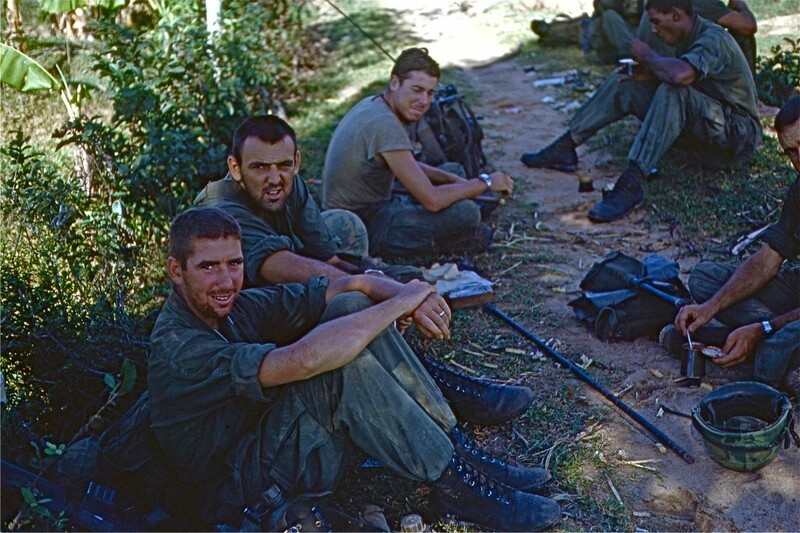 Our special guest speaker, Colonel Kevin Brooks, USMC Colonel Retired, will tell the story of the night his comrade, Yaphank resident William Neuss, was killed in action in Vietnam 50 years ago.